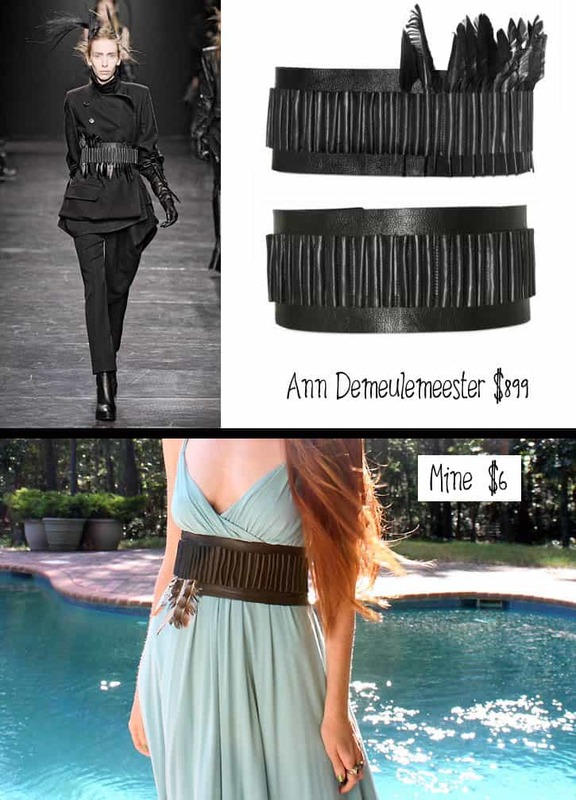 As soon as I saw this Ann Demeulemeester belt come down the runway I knew I had to DIY it. The concept is pretty simple. 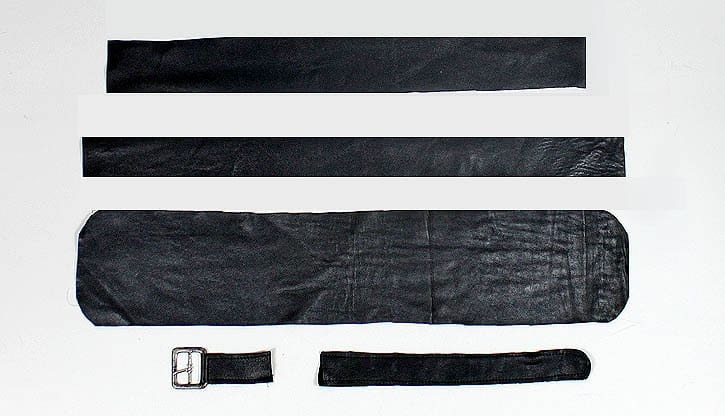 It’s a wide leather belt with a second strip of leather sewn on top of it. The leather is pushed up to created narrow tubes. The buckle and straps get sewn under the strip. The leather I used is from a thrift store skirt ($4) and the buckle ($2) is from a local craft store. The buckle was originally bright silver and looked rather cheap so I aged it by painting a thin layer of black nail polish on it and then gently wiping most of it off. 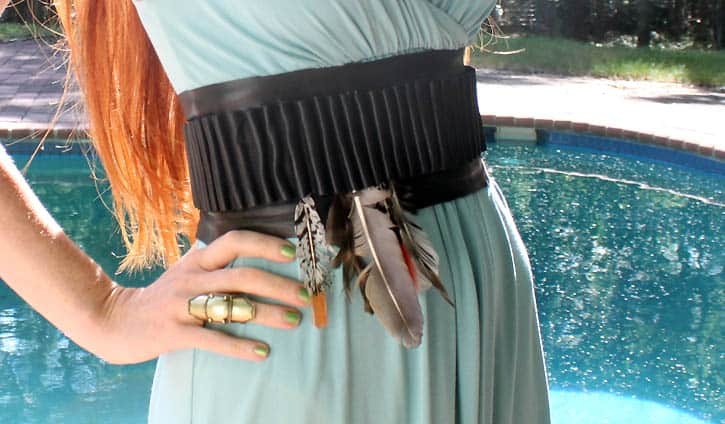 Ann D. styled the belt in a wonderfully Gothic way, but since it’s summer I went for a more bohemian vibe. 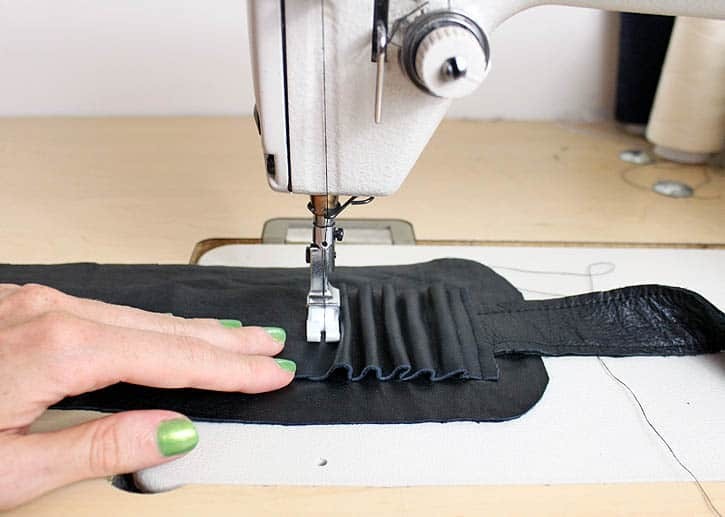 (you need a sewing machine capable of stitching through layers of leather). I can post a more detailed tutorial if you’d like. Also, don’t forget to enter my giveaway to win an eco-friendly handbag from my collection! Love yoour blog. Great ideas!! Wow, this looks amazing, you are so talented! I think I prefer your version to the real thing! LOVE the belt you made! Looks awesome! I've started to make my own versions too since the real ones cost a gazillion dollars. Turns out your version looks so much better 🙂 Great blog you have! Would you like to follow each other? Adorable! Well done! 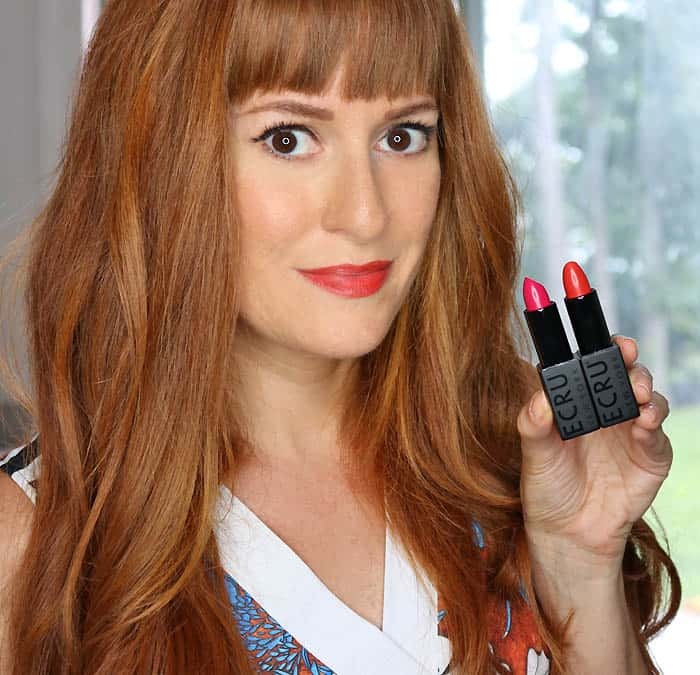 So glad I found your blog – new follower here! You might enjoy this blog Secondhandstar, all about redesigned vintage fashion and DIY projects! NICE! thats so kool! love the belt! Looks great! I also gotta say that I absolutely love your hair! Gorgeous! Wow this is such a cool idea! 🙂 thanks for your comment on my blog 🙂 hope you visit again soon! So beautiful! Love your blog and HAIR. Wow, amazing. good job 🙂 great idea! Thank you for your kind comment on my blog post! I love this DIY! You did an amazing job! ooh you did such a cute job on the DIY! You are so talented, that belt came out really nice, amazing really, very much like the original. I have to tray this DIY myself, I hope it will come out as good as yours. The belt looks so good on you, I especially like the last photo by the pool, you look so gracious. Wow, I really like your version. Love this and anything with feathers. I love your dress! It's stunning with the belt! Love Ann D and love that belt. May have to make a mens version.